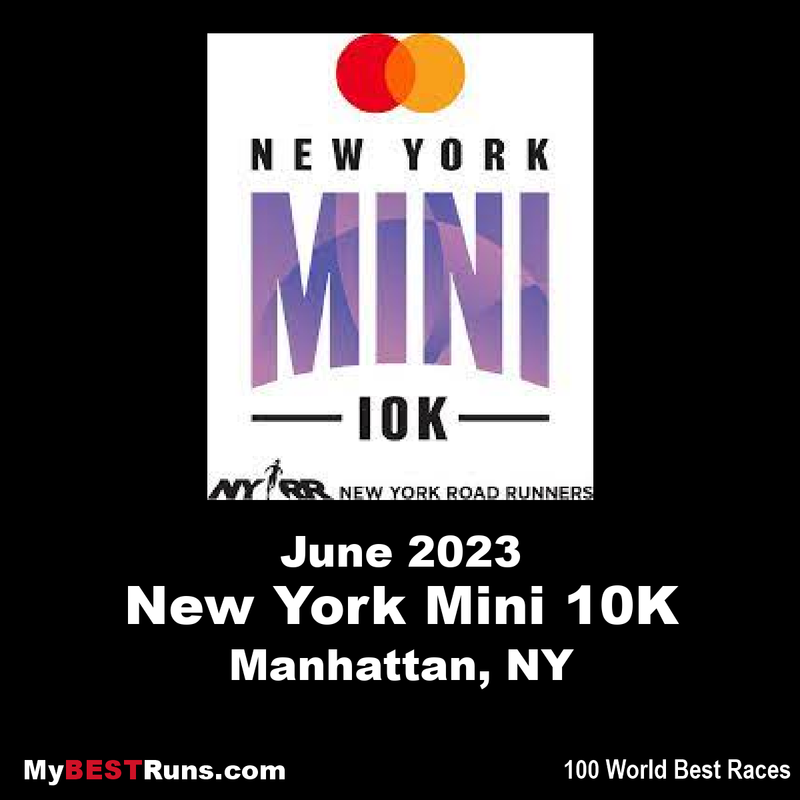 The NYRR New York Mini 10K run is organized by the New York Road Runners,whose road races and other fitness programs draw upwards of 300,000 runners annually. The Mini has been on the NYRR annual calendar since 1972. This year marks the 44th running. The event has been a model for women’s road races around the world. It has attracted Olympians, World Champions, and world record holders and has been the site of several world-best performances. Each year, the Mini celebrates women of all ages, abilities, and backgrounds coming together to advance their sport while having a great time running alongside their friends, teammates, mothers, daughters, sisters, and role models. The day’s events kicked off with the third-annual Rising New York Road Runners at the NYRR New York Mini 10K, a 1.2-mile event for girls ages 12 to 18, which included a wheelchair division for the first time this year. The girls’ race saw a record 468 finishers. Each participant went home with a finisher medal and a pair of New Balance running shoes donated by Citi. Kenya's Mary Keitany, a three-time TCS New York City Marathon winner, took the top spot in the open division in 30:59, the fifth-fastest time in event history. 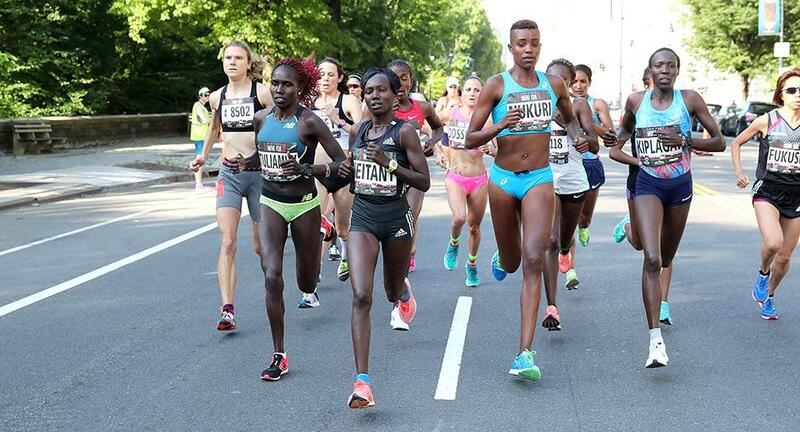 Americans Aliphine Tuliamuk and Molly Huddle were second and third, in 32:08 and 32:25, respectively. Mile 1: Start on Central Park West at West 61st Street and head north on a slight uphill to 81st Street. Mile 2: Continue on Central Park West to 90th Street, then bear right to enter the park and run north and downhill on West Drive. Mile 3: Pass the 102nd Street Transverse and climb a 400-meter hill, then descend for 600 meters to the north end of the park. Mile 4: Pass Lasker Pool on the left just before the 5K mark and climb 400 meters to the eastern end of the Transverse. Continue south on East Drive to to the four-mile mark at East 90th Street. Mile 5: Continue south past the Metropolitan Museum of Art and down Cat Hill to the five-mile mark just before the 72nd Street Transverse. Mile 6 (+.2): Run up a small hill, follow the loop drive around the southern end the park, and climb a final hill to finish on West Drive at 67th Street.